OUR NEXT MEETING WILL BE IN ZÜRICH, May 20 – 21, 2019. The initial meeting: Bonn 2013: a group of members of the Hall of Fame Europe discussed a "Think Tank". A first meeeting took place in Zürich, Switzerland, 7-8 September, 2016.. The next meeting was in Bucharest 28 - 29 April, 2017. Then: Hall of Fame Europe Think Tank, Oslo 21 - 23 September, 2017. Then: Berlin, Germany, 31 January - 2 February, 2018. 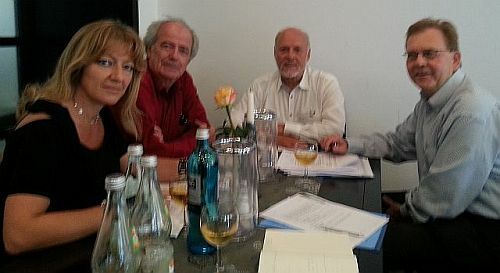 At a conference meeting in Bonn the following members of the International Adult and Continuing Hall of Fame discussed the posssibility to initiate a "Think Tank" for Adult Education: Katarina Popovic, Ekkehard Nuissl, Jost Reischmann, Andre Schläfli. At a conference in Zürich 7 – 8 September 2016 a group of European inductees in the International Adult and Continuing Education Hall of Fame met to discuss further cooperation about the future of adult education in Europe and the role of HoFE. At a workshop 7 September led by André Schläfli and Sturla Bjerkaker we discussed the present situation for adult education in Europe, what trends we see and the idea of a Think Tank. At the HOFE meeting at André's office 8 September, the discussion continued. A report from the meeting will be made, but so far we can conclude that it is support among the HOFE group and others that were present – e.g. the General Secretary of EAEA (European Association for the Education of Adults) Gina Ebner – that a cross sectoral and cross national Think Thank is needed. The Think Tank membership should be based on present and new HOFE-members, limited to ca. 15 persons. The Swiss Adult Education Association will continue being secretariat for this work. In Europe, the International Adult and Continuing Education Hall of Fame has around 35-40 inductees/members, inducted up to 2016. Most of these persons has been or still are connected to some university/ies in their countries, some are connected to public sector or practitioners with their base at NGO's. As it mostly is seniors that is inducted to HOF, some of the members are unfortunately passed away, some are too old to be active, but a majority is still active in some way in the field of adult education. 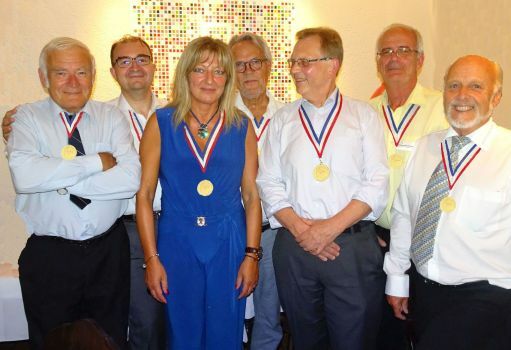 Hereafter, the European members are called HOFE-members (Hall of Fame Europe). The HOFE-members have a huge bag of knowledge in adult education. It would be an advantage for the field if this knowledge in one way or another could be transferred to younger and upcoming generations in the field. The HOFE-members were invited to Zürich Switzerland 7 – 8 September 2016 to discuss how this group could contribute to the future of adult education in Europe. Close to this agenda is of course the European Association for the Education of Adults (EAEA) – and some others – and EAEA was also invited and present. The following is a draft report and proposals from this meeting. Starting point: It is a need for some kind of "network" to secure that the collective amount of knowledge amongst senior adult educators in Europe not get lost but can be transferred to younger generations and groups in the field. Many of those retiring these years belong to the "1968-generation" and they have exebitioned both golden years and challenging years for both the formal, non-formal and informal parts of adult education through many, many years. They owe not just a huge amount of knowledge, but also an ability to reflect on the value and transferability of this knowledge. A Think Tank: We might need a network, and the network we need can be organized as a cross cultural, cross national and cross academic/practitioners Think Tank (TT). To be operative, the TT could have up to 15 members, recruited amongst former and new HOFE-members and – if decided – other relevant persons. The goal: The purpose for TT should be to discuss and make proposals for a sustainable adult learning and education (ALE) in Europa on short and long sight, and to transfer established knowledge of ALE from seniors to younger generations in the field. Furthermore, TT should stimulate more research in the field, do advocacy work and – by this – contribute to a better understanding and prestige for ALE as such. Target Groups: One target group is the TT itself. Members should be recruited from HOFE-inductees primarily. The main target group is those in one way or another active in the ALE field, as board members, employers and employees, but also civil servants and politicians on EU-level and similar. The outputs: What could be the output, the products from the Think Tank? We believe that each member of the TT during many years have written papers, delivered speeches, given lectures and organized and led courses and conferences. A task for the TT is to collect, take care of and transfer all the knowledge these activities represent. Furthermore, the TT should develop new knowledge during its period of work. The knowledge transfer can be delivered at conferences, projects, meetings, in journals, books etc. Cooperation: The TT is not alone as a European network in ALE. We have to map other relevant organisations, and look into what kind of cooperation or contact the TT should have with others, like EAEA, ESREA, EPALE, EDEN, The Lifelong Learning Platform and others. The TT will gain by contact and dialogue with organisations like those. Members of TT could at relevant occasions visit the networks, and vice versa. This not only for the purpose of knowledge transfer, but knowledge exchange. The UNESCO Institute of Lifelong Learning (UIL) in Hamburg, Germany could also be a valuable link for the TT. Connection: The Think Tank should be as independent as possible. It is important that the TT as a collective and the members of TT can speak and act free and independent of existing organisations, institutions or public bodies. In this way, the TT can find its unique position. Organisation: How could the TT be organized and run? It depends on financing and other recourses. It could be quite cheap to run the TT, leaning on member's free contribution and free work. If possible, the TT should not be connected to an existing organisation or association – at least nor formally. TT could be organized with a small Board (3-5) appointed by the members by "postal election". The Board should have a Chair, and the role as Chair could be passed over to a new member every second year. Project: The TT could furthermore be organized as a project. This will give opportunity for financing, and it would border the work for a certain amount of years, e.g. three. Then a prolongation could be decided. The project should be led by the TT Board. Financing: As said, it will not be much money needed. As a project, we could apply for e.g. Erasmus + or from other programs. This part has to be developed further. Progress: The first meeting 8 September in Zürich "voted" in favour of establish such a Think Tank which is described in this report. Prof.dr. Romita Iucu, HOFE-member and participant at the meeting, offered kindly to host a next meeting in Bucharest in March/April 2017. This meeting has to be well prepared. Up to this meeting, the Swiss Association for Adult Education (SVEB) and its former director André Schläfli – who also holds the Presidency position of IHOF this period - has offered administrative support. André and Sturla Bjerkaker, both HOFE members, have offered to continue up to the Bucharest meeting to secure the continuation and progress. 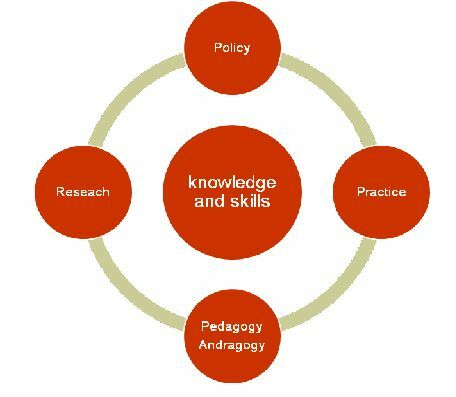 This model indicates that Knowledge and Skills will be at the core of our activities, and to cope with our existing bags of knowledge and skills and to develop this further, we need to connect to research, practice, the field of pedagogy/andragogy and to do policy work. This next meeting will be hold the 21 to 23th of September in Oslo. 4.2 Certificates and recognition of non-formal certificates in relation also to the European Qualification Framework; André Schläfli ans Ekki -	This paper will discuss the delicate issue between non-formal and formal adult education. More and more providers and participants in adult learning would like to have formal recognition of their non-formal courses and diplomas, which should also be related to validation of prior learning and related at the European qualification framework. What will be the future trends? 4.3 Digitalisation and adult learning: Janos Toth and Romita -	The development of digitalisation is one of dominant phenomena nowadays. It creates an enormous change in all segment of our life. It's one of the strongest engine in forward economic progress, an unthinkable procreator of benefit in society, while it's creating new social divide too. We need to close the digital gap to avoid the deepened, dramatic disparity as for example many jobs will be disappearing and new one will come. Among others adult learning has an exceptional task treating digitalization. Alan Tuckett will support us as a critical friend and check our English. He has written a paper for the WEF. Dieter Dohmen and Gina Ebner will support us also, we will take contact with EAEA to make a link to our work. HOF Strategic Plan: André took us through the proposed Strategic Plan for HOF and made proposed amendments and changes according to the presented comments. André will bring it further to HOF Board. The idea is to make Hall of Europe visible in the strategy. HOF Bylaws: André took us through the Bylaws and we discussed some needs for changes and had some proposals. It is important that the Bylaws and the Strategic plan is corresponding, having e.g. the same terminology. André will bring it further to HOF Board. We are proposing, that the chair should last at least 2 years instead of one year. All of you are invited to send more remarks to the Strategy and the Bylaws. European and Asian candidate/s for the HOF Board of directors for next period: André proposed Sturla from Europe (Norway) and Un Shil Choi from Asia (South Korea) This was agreed in our group and already sent to executive board. The group went through and discussed the papers and noticed the connection between them. The papers are in different ways good and interesting and relevant, but not all of them are (as they are presented) ready for further publication. The authors could probably amend them and present them in the same format before we could put them on our website and think of other ways of distribution. One example for the use of the Papers will be a presentation at a Nordic conference by Sturla about “innovation in the field of adult teaching and learning”, where he will take inspiration from almost all the papers. (This presentation was a panel discussion without PP-presentation, but I took inspiration from many of the papers anyway.) André will also go through the papers and draw some common comments and conclusions. Sturla will send for this purpose his presentation to André. b. In 2018 the induction will be in New Orleans. c. In 2019 the induction will be in Europe, and we should discuss different options and new inductions. In our next meeting, we could come up with proposals. d.	We decide to continue the HOFE Think Tank work also in 2018.
e.	André and Sturla coordinates the work in 2017 and 2018, thereafter we must discuss. f.	Next meeting will preliminarily be planned in Berlin late January 2018, with Dieter Dohmen as a host. André discuss dates with Dieter. Fine if the meeting could be connected to some other event/s taking place in Berlin. e.	More proposals are welcome! Janos you are also involved in the field of ageing. g.	We will thank Jost and ask him to put the papers on the homepage. The HOFE webpage should be updated. Jost can hopefully do this and continue as the editor. – We will add Jost's invitation to send the addresses of our personal (or institutionally hosted) homepages, so can add the link on the HOFE page. i.	Keywords for HOFE Work: Updating of knowledge and trends, Knowledge transfer between generations, Dialogue and distribution. 09.00 Arrival to the venue, FiBS, Michaelkirchstr. 17/18, D-10179 Berlin, Website: www.fibs.eu, Coffee etc. 09.30 Welcome, introduction and presentation. 10.30 Dieter: FiBS: work and mission – a look back over the last and the next 25 years. Presentation, questions, and comments. 14.30 Financing Adult Learning and Education (ALE) - different inputs, comments and discussion. Presentations from the participants. 09.00 Continuation of HOFE discussions - next steps, preparations of further strategies and tasks for HOFE as a European Think Tank. The constitution of the Think Tank. Any other business. Next meeting: Venue and dates.